for everyone to learn to write Chinese hieroglyphs. In the process of learning foreign language, there are always some difficulties. Chinese can be considered one of the most difficult languages, especially - written one. 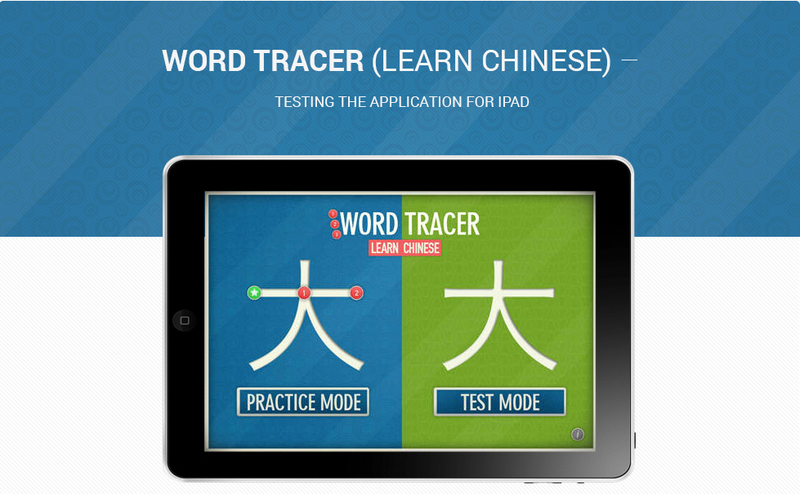 Word Tracer is a powerful tool that facilitates the learning process and allows users to practice 1500 most common Chinese characters (Practice mode). Using this application, you can test your knowledge and reinforce it (Test mode). Learning new words does not represent any difficulties also because their use can be seen in the context of the common phrases. Application is very user-friendly due to clear and correct structuring. There are two basic modes: practice and test. The first one helps to learn how to write characters, which begins with the test mode. Also, much easier to work with the application due to the possibility of combining characters in different groups according to the points of moves, rank frequency and number of other features. If necessary, one can easily go back to the cards that have been passed earlier, and practice them again. The functionality of this application is very extensive and useful: the meanings of symbols and words, sounds and more. 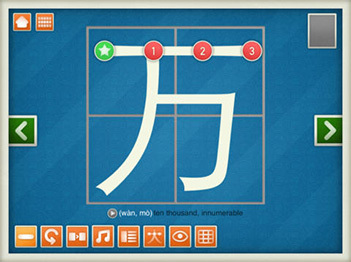 Utility is a good educational system for learning to write in Chinese. You will not have any difficulties in the process of adaptation to writing characters, as there is a high-resolution IPad interface of the application. 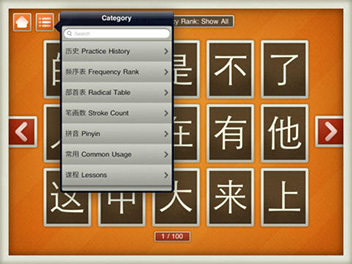 At present this is probably the best application for those who want to learn the written Chinese language. Identify all defects and adapt application under Ipad (Retina). In order to increase the number of users and increase the rating in AppStore to provide the highest level of product quality. The new version of the project is stabilized in time with high quality. Lack of time and financial losses at successful application update. Application is adapted for tables of several generations and versions of the operating system, including iPad 3 (iOS 7) and iPad mini (iOS6). © 2019 Webmart Software Company.